It is quite rare to see the amphibians in action. 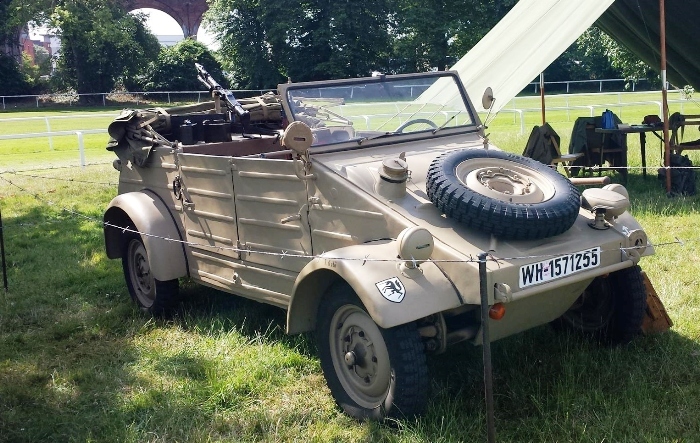 There are some military vehicle events & events for vintage Volkswagens which every once and a while feature these rare vehicles. Some pictures are listed below for your reference. Man sieht solche seltene Fahrzeuge nicht jeden Tag, es gibt aber Treffen wo man manchmal die Farhzeuge anschauen kann - wenn man Glück hat sogar ins Wasser. 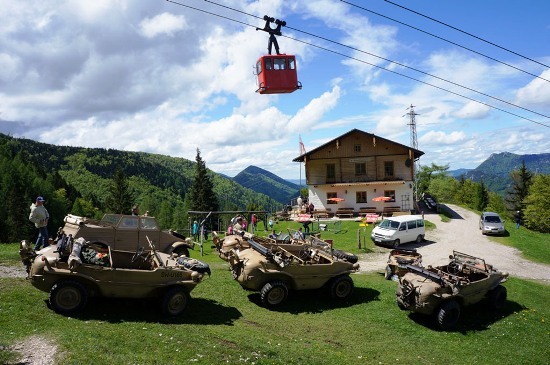 Es gibt Treffen für Militärfahrzeuge und Treffen für alte Volkswagen wo man eine Chance hat, Kübel- und Schwimmwagen an zu schauen. Auf dieser Seite findet Sie eine Bildergallerie. C'est plutôt rare de voir une Schwimm- ou Kübelwagen dans une réunion des véhicules. 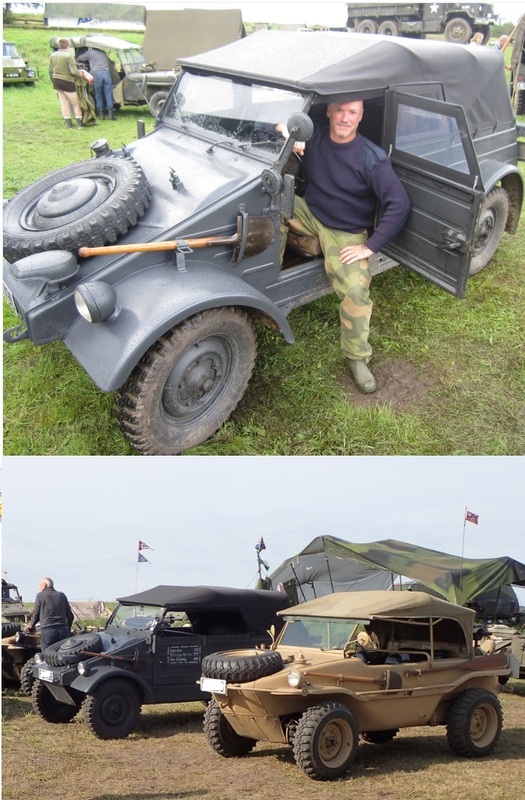 Il y a des réunions annuelle pour les Volkswagen anciennes ou des véhicules militaire. Avec un peu de chance on peut même les admirer en naviguant dans l'eau. Ci-joint vous trouverez quelques photos. La Gleize Show - 2016 pictures! Merci Jos pour les photos! The War & Peace Show Revival, Westenhanger, UK 2014. 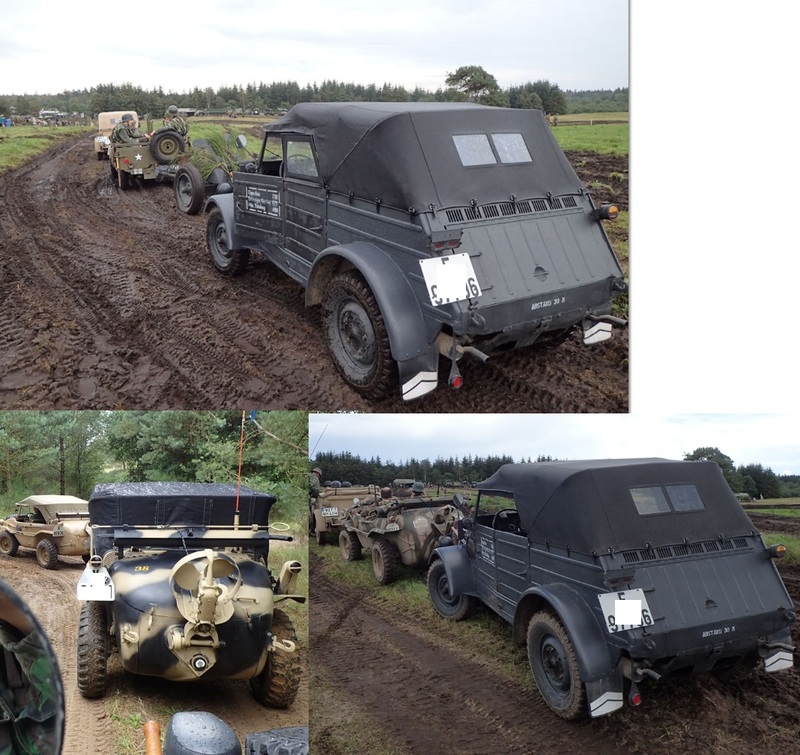 Our Normandy D-Day+70 convoy was successful. We had several forum members in attendance from a variety of countries, France, Belgium, Netherlands, UK, Germany and even Canada. Have a look at some pictures, click here. Auch dieses Jahr war das Amphib Treffen wunderschön. Diesmal fand as am Gardasee in Italien statt. Wir danken Alberto Dubini & team herzlich für seine Mühe.